Skin cancer occurs when abnormal skin cells grow excessively, and is most often caused by ultraviolet radiation from the sun. 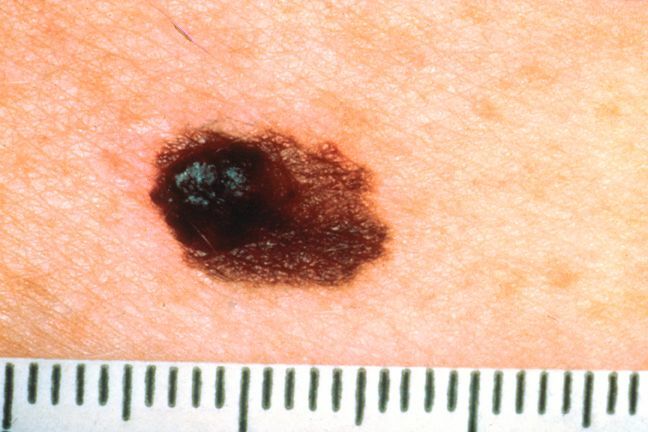 The are a few different kinds of skin cancers, the most deadly of which is melanoma. 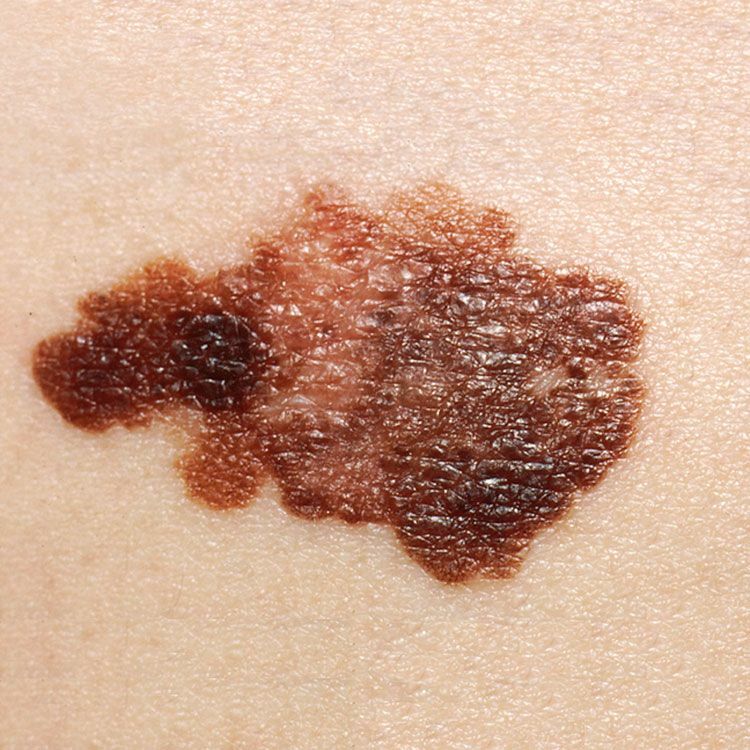 Although melanoma accounts for less than one percent of all skin cancers, it makes up the vast majority of skin cancer deaths, according to the Skin Cancer Foundation. 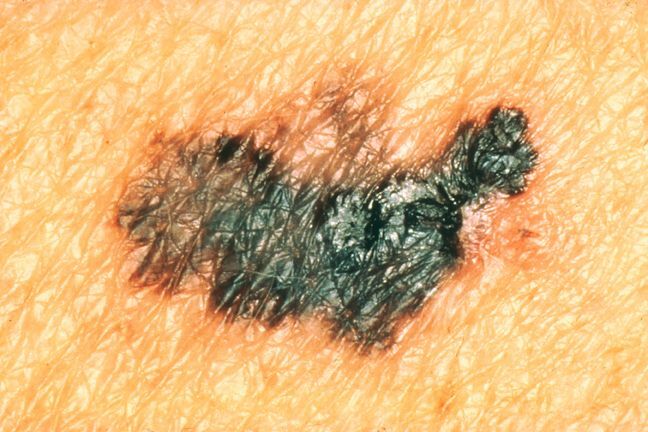 Melanoma can develop anywhere on the body, even in places that are not usually exposed to the sun. In this case we are looking for moles or spots that are significantly asymmetrical in shape - check whether one half matches the other. 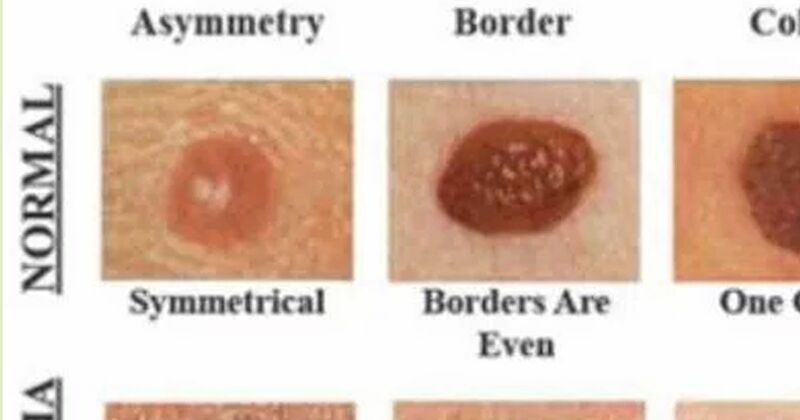 According to WebMD the borders of your moles should be relatively even. If they are ragged, notched or blurred, see your doctor. A healthy mole has even coloring. Causes of concern are shades of brown or black, or patches of pink, white or red. 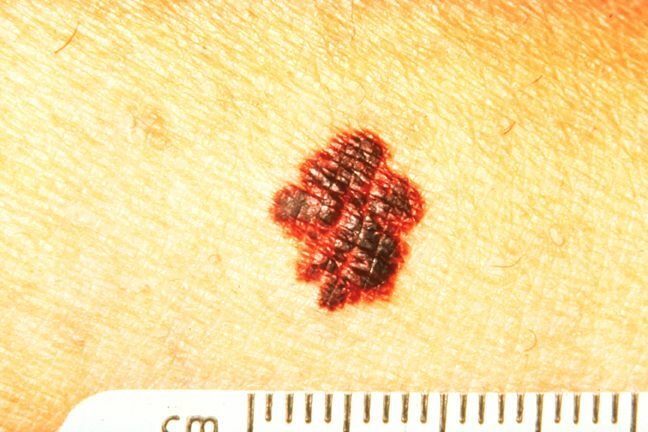 Although melanoma can be tiny, in general you should take note if you have have spots larger than 1/4 inch across - about the size of a pencil eraser. Are any of your moles or freckles changing over time? These changes could include size, shape, or color. You should also look out for changes to the surface of the mole, like scaliness or scabbing, and even itchiness or bleeding. Try using this printable body map when you do you skin check, and note the moles that you think are significant with some details about their characteristics. Refer to the map with your next skin check so you can accurately track any changes on your skin. Skin cancer is all too common; each year there are more new cases of skin cancer than the combined incidence of cancers of the breast, prostate, lung and colon, according to the Skin Cancer Foundation. One in five Americans will develop skin cancer in their lifetime, and someone dies of melanoma every 54 minutes. That's an estimated 9,730 melanoma deaths in 2017. It is vital that you limit your sun exposure and keep yourself well protected, including places like the scalp and the backs of the hands. Check your skin regularly and note any changes - and always remember the ABCDE of skin cancers.